A 501(c)(3) Non-Profit Organization serving the greater Seattle area. Our mission is to care for unwanted ferrets. These pets are given up in huge numbers because they are sold as if they were a dog or a cat – i.e., relatively easy to maintain. However, they are not an easy pet to care for. They are intelligent, VERY mischievous, and get into everything. There are a multitude of reasons most folks should not buy a ferret. We take them in when their owners discover this.They also get lost very easily, and many have come to us this way. If you’re surprised to learn that ferrets need rescuing, consider this: There are 1.9 million ferrets in the United States, according to the American Pet Products Manufacturers Association. 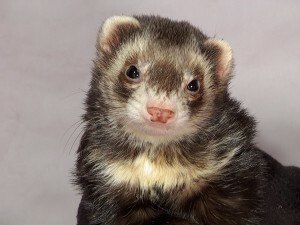 And though the number is tiny compared to the 74.8 million dogs and 90 million cats kept as pets, ferrets face many of the challenges of their more popular brethren without the high profile.